The Manhattan Project has become dually synonymous with 20th century scientific progress and horrific destruction. The atomic bombs born out of the program killed between 129,000 and 226,000 people in Hiroshima and Nagasaki, although the death toll is even higher considering the impact of radiation on the populations. Part of what makes the Manhattan Project such an eerie facet of American history is that for the vast majority of those involved, both the nature of their work and its potential impact were kept a mystery. 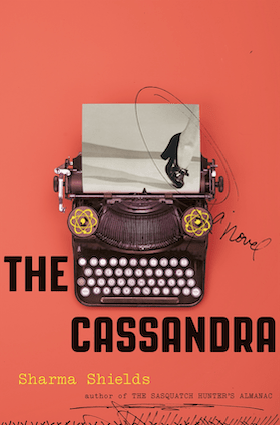 But in her new novel The Cassandra, Sharma Shields gives one secretary insight into the violence of the project. The novel’s origins are deeply woven with the author’s own life. Shields, who grew up and lives in the Pacific Northwest, was diagnosed with multiple sclerosis (MS) shortly before she began working on her latest novel. “People would say to me that the reason we have MS in this area is because we are downwind from Hanford,” she tells Paste. Hanford, Washington was the site of a large research facility and reactor, which has since been turned into a national landmark. The connection between her own health and facility sparked her interest, and a tour of the site prompted her to dig deeper. “The history was so strange and alarming,” Shields says. That history became the foundation for Shields’ mystically-tinged story, which is based in part on the myth of Cassandra, a woman who was cursed to see the future but not be believed. The Cassandra’s protagonist Mildred Groves is 20 years old, serving as the primary caretaker for her verbally abusive mother. She also experiences visions of the future, which can manifest as she sleepwalks out of her home (plot spoilers ahead). When Mildred is offered a job at Hanford as a secretary to a leading scientist, she jumps at the chance. But her visions take a terrifying turn, revealing that the work she’s helping complete will lead to unimaginable suffering. Unable to convince anyone to take her or her visions seriously, Mildred’s life begins unraveling at a terrifying pace. Mildred is, of course, limited by the time and culture in which she’s working. In addition to the narrow opportunities available to women at Hanford, the culture of secrecy around the project creates an air of mistrust and self-censorship. Information is given out on such a limited basis that, even though she’s aware something dangerous is being created, she’s unaware of the broader context. Shields foregrounds the chauvinism Mildred and the few single women working on the base experience—the leers, the jibes, the looming threats. Gordon, a man Mildred meets on the bus ride to Hanford, represents that aggressive toxic masculinity. Tom Cat, Gordon’s friend of sorts with a crush on Mildred, represents a more benign complicity in the cruelty of others. His place speaks to the role microaggressions and silence in the face of them can play in fostering violence. That connection becomes explicit when Gordon attacks Mildred, nearly killing her with a rock. The assault leaves Mildred struggling to recover her ability to speak and her motor skills, catalyzing moments of violence and unrest that culminate in her decision to remove her own tongue. It’s easy to identify with Mildred. While she is a sole bearer of knowledge, today we are all aware of the dangers of nuclear weapons and climate change. And yet that knowledge of our inevitable future does not translate to change. To Shields, that evolution requires facing the past and having challenging conversations about the future we’re actively creating. 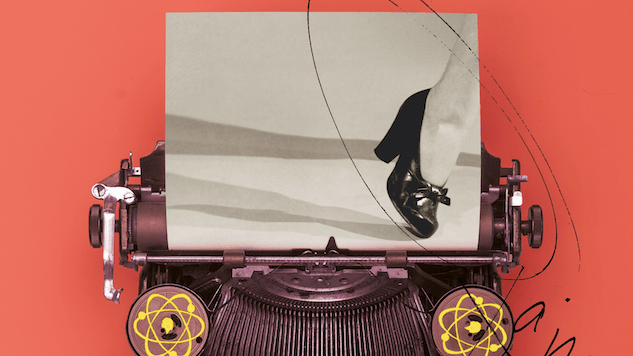 Her novel removes Hanford and the Manhattan Project from one isolated part of wartime history, linking them both to the United States’ origins and to modern threats. It’s a connection with immediate urgency; Hanford has been making the news for reasons ranging from leaking tanks of toxic nuclear waste to Trump administration efforts to limit monitoring efforts. For Shields, that’s part of the takeaway from Mildred’s story—the character’s decision to withdraw corresponds with an opportunity for her family to examine their painful history. The question, however, is whether we’ll do the same on a larger scale.